Dickey County has invested in Emergency Preparedness with CodeRED. 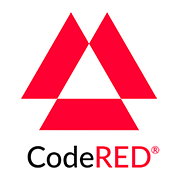 By signing up for CodeRED, you will be notified by the emergency response team in the event of emergency situations or critical community alerts. This system is designed to get emergency messages to the public quickly and effectively. To receive alerts, please click on the link below and you will be directed to CodeRED to enter your information.